Here for me right now is not a comfortable place to be. Things are a little sobering and I don’t feel good in my own skin. I’ve been trying to shake this off, to pull myself back together again but so far have managed one small step forward and several large ones back. It’s hard to be here in this grey area. Its hard not to look back and think of things I could have done differently and not to look forward with fear. Its really hard and whats hardest is that I don’t know how long this grey area of being is going to last. I feel as though I am moving through mud, unable to ping up and do what I could normally have breezed through. What has been truly incredible have been my family and friends. I feel as though I am a marble in the game kerplunk and preventing me dropping to the bottom of the plastic tube are the straws which in my life are my family and friends. I have been so incredibly touched by kindness and companionship.From Scotland, Sweden, Hong King, Brazil and here in LA. I may not be currently blessed with financial riches but for sure I am extremely blessed in my life with my relationships. When the chips are down, I am knocked for six by my fortune in love and friendship. Ultimately though when one goes through a hard time one just has to do it on ones own. It is a lonely intense experience. Its as Dr Seuss eloquently said in his wonderful book Oh The Places You’ll go: I’m afraid that sometimes you’ll play lonely games too. 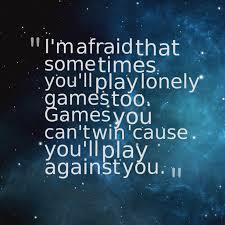 Games you can’t win ’cause you’ll play against you. What has happened has been a renewed need for faith and trust that all will be well. There’s a lot of cliches that are bandied around around this topic, trust the process, being one of them. Don’t fight it. An ex boyfriend of mine used to say whenever I got a coldsore, ‘don’t hate it, embrace it’ , which I never fully understood as a coldsore for anyone whose ever had one is a very hard thing to love. But I think he was wise beyond his years. Well I don’t know what’s coming next and as I started the bead movement for this very reason, to stop myself from racing through days hoping for a better one to appear, I’m going to do my best to embrace this bit too. So here I am. A little lost I have to confess but focusing my eyes up and not down at the panic and the chickens below. I want to fly with the eagles with the certainty that all will be well and that I won’t drop out of the sky at any moment. Tags: Dr Seuss, Mhairi Morrison, Oh, The bead movement, The Places you'll go!